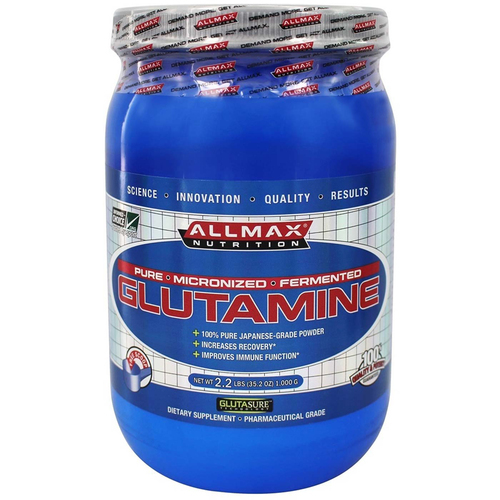 Glutamine from AllMax Nutrition used 100% pure Japanese grade glutamine. Warnings: Allergen Warning: Produced in a facility that also handles milk, soy, egg, peanut, tree nut, fish, crustacean and shellfish products. 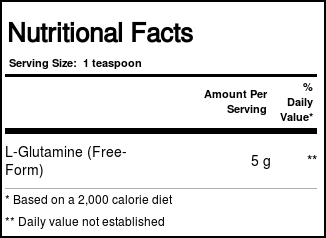 Consult a healthcare practitioner prior to use if you are following a low protein diet. Consult a healthcare practitioner prior to use if you are pregnant or breastfeeding or taking any prescription medications. Notes: Vegan. Vegetarian. Gluten Free. Kosher Certified. Recommended Use: Mix 1 rounded teaspoon (5 g) of AllMax Glutamine in water or juice 1-4 times daily. For training sessions and athletic events, take AllMax Glutamine approximately 30 minutes prior to training and immediately after training to help prevent muscle tissue breakdown and aid muscle recovery. At times when you are not training, mix 1 rounded teaspoon (5 g) of AllMax Glutamine in water or juice approximately 45-60 minutes prior to meals. 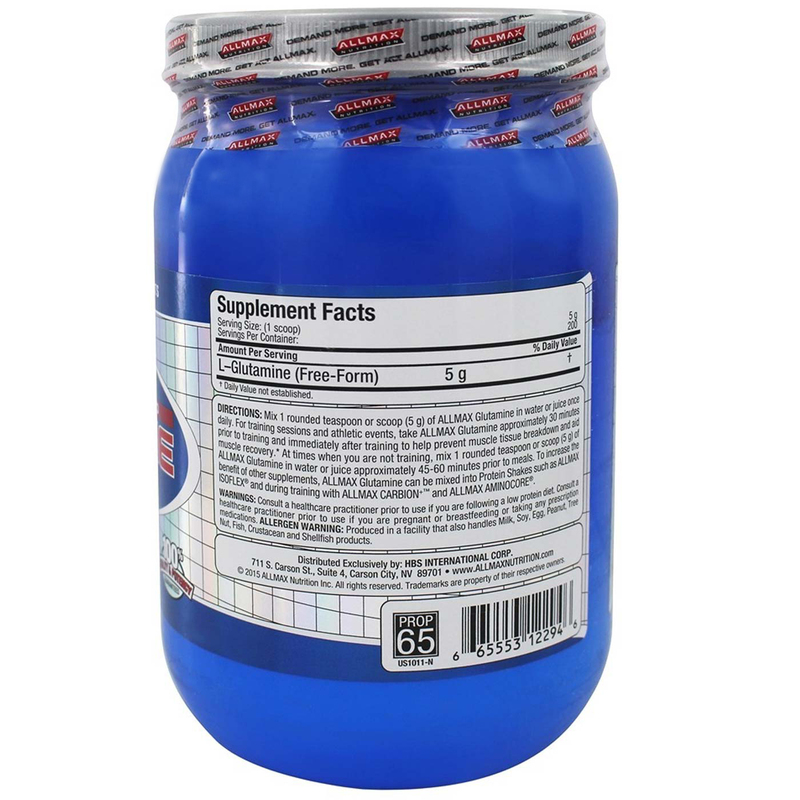 To increase the benefit of other supplements, AllMax Glutamine can be mixed into protein shakes and creatine delivery drinks such as AllMax Krush Loaded and AllMax IsoFlex drinks.